Tech Shops - IT and Consultancy based in Nuneaton, Warwickshire. Welcome to TechShops your local Nuneaton based Computer and IT company. 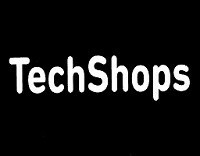 Techshops has been solving all kinds of computer and technology problems for small business and consumers in this area for over 18 years. We understand that not everyone is a tech genius and that even “simple” things are not always simple. Call us – we don’t charge for advice and operate a simple “no fix – no fee” policy. So whether it’s a broken computer, a virus, trouble with your email or you just need some friendly advice – call us.